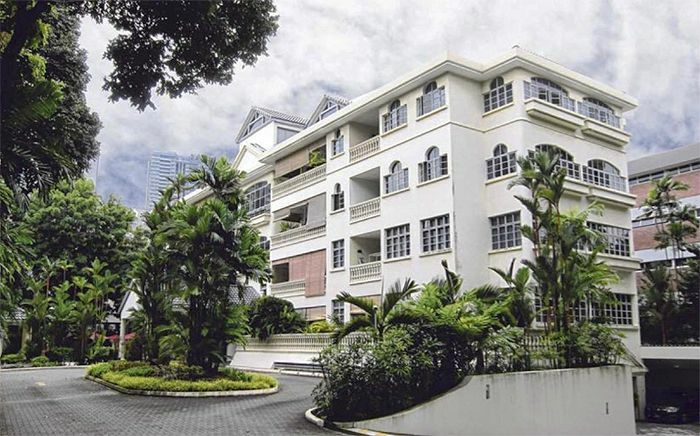 Just shortly after neighbouring Jervois Garden was sold via en bloc to SC Global, Jervois Green has been put up for a collective sale via tender – with an asking price of S$48 million (or S$1,373 psf ppr). Jervois Green is a freehold 4-storey apartment project sitting on a land area of 27,356 square feet, completed back during the late 1980s – with a plot ratio of 1.4. It is also located near existing MRT stations at Redhill and Tiong Bahru, as well as the upcoming Great World and Napier MRT stations. The recent collective sale activities in the Jervois precinct has been pretty much spurred by the lack of new projects within the area – with Mon Jervois and 38 Jervois being the only available ones for sale. According to the marketing agent for Jervois Green, the site could be redeveloped into a new launch project with up to 43 private homes (average unit size of 850 sq ft) – with a 5-storey height. The development charge was noted at around S$9.865 million. It was reported that Jervois Green is currently being held under a single owner, thus offering a quicker turnaround process time for the incoming developer to launch the new private homes for sale. Market watchers have also said that the bite-sized price tag could also be a strong lure for property developers when being compared to the newer and similar property projects nearby – hovering in the range of S$1,900 – S$2,350 psf ppr. The en bloc tender for Jervois Green will close on 05 December 2017, 3pm.